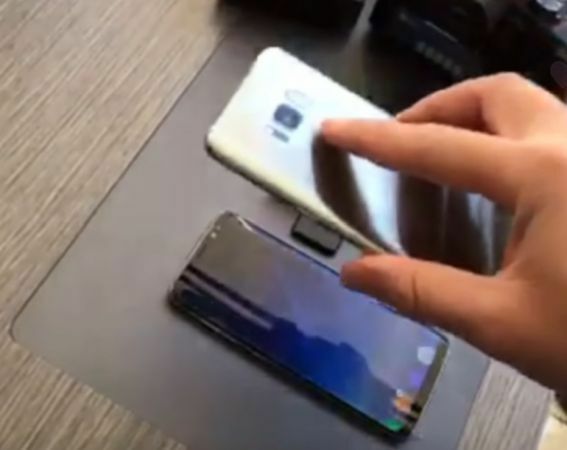 A video has surfaced of Samsung's new Galaxy S8 being tricked into unlocking with a photograph, raising questions of security. Much ado has been made about the Samsung Galaxy S8's facial recognition and iris scanner technology, which allow for hands-free unlocking. Additionally, a major feature of Samsung's digital assistant, Bixby, is that any function of the phone that can be activated by touch can also be activated by voice. In conjunction, these features mean the Galaxy S8 and S8+ can truly be a hands-free devices. However, there appears to be a downside to Samsung's facial recognition security technology: where Windows Hello uses an infrared camera to sense heat and avoid being fooled by an image of a person, Samsung's new phone just has a regular camera. The result is that it looks like the phone can be unlocked simply be presenting it with a picture of the owner (video below). Of course, not only could the phone be unlocked by a picture of the owner's face, but the phone could also be held up to a sleeping (or otherwise unconscious) owner even with an infrared camera. These risks are nothing new, however, and have existed since fingerprint and facial scanning came to phones; much of the same concerns still exist about forcing someone to unlock a phone with their finger—though admittedly, a photo of someone's face is much more readily available than their finger. Brand Linder of Liliputing points out that this issue highlights the delicate balance between convenience and security. If you really want to be secure, you can set a long password on your phone—but most people want to do things faster, not more securely.